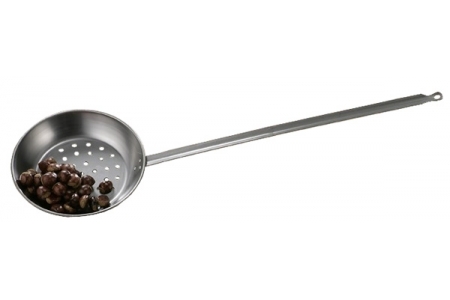 Specially designed roasting pan to roast chestnuts. This model of chestnut roasting pan has a 70 cm.long handle, so you can cook them comfortably, either in your chimney or in any other kind of fire. Ready to cook with charcoal, timber or gas.